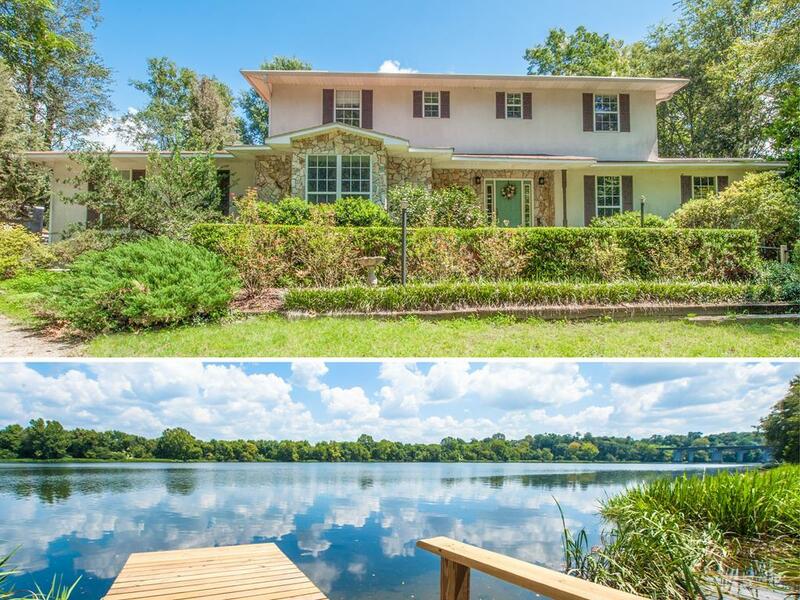 REDUCED!Fabulous riverfront home w/pier & awesome open floor plan! All fresh interior paint! Durable heartwood yellow pine floors! Wonderful kitchen w/new cabinets, granite counter & backsplash, stainless appl + huge pantry! Family rm w/fireplace & wet bar opens to kitchen & brkfst rm making entertaining a joy! Huge dining rm! Spacious living rm w/gas fireplace! Owners suite on main floor, cosmetic fireplace, tray ceiling, walk in closet & bath w/upgraded granite dble sink vanity, separate shower & jetted tub! Upstairs 3 large bedrms & 2 full baths! Office space, laundry & other utility areas + generator! Many new light fixtures, fans & faucets! 2 car side entry garage! Huge solarium overlooks terraced garden to back patio & grill area w/river view! Built for entertaining! Great Master's Rental! Easy access to SRS, downtown medical facilities, Augusta National GC, & cyber school/command facilities! Hurry to see this one of a kind home! OPTIONAL adjacent 1.3 acre lot available for sale!